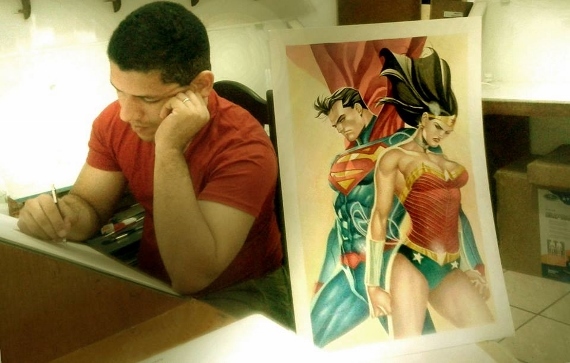 Brazilian painter Thony Silas is the artist of the Rage Bane of Demons Graphic Novel. You can find out more about him by browsing this site of course (or even by buying one of the digital versions of the book in the Rage Bane of Demons page), or by connecting to Thony’s blog. Right after working on Rage, Thony found a job at Marvel. He has since been the penciler of Spider-Man: Ends of The Earth, and one of the regular pencilers of Venom and Daredevil: Dark Nights for Marvel, and Batman Beyond and Justice League: Gods and Monsters for DC! At the time I am writing these lines, Thony has penciled the last issues of Captain Marvel.